Tomorrow is Thanksgiving! Aka a time of year filled with foods that stick to your ribs, scents that bring you back to the good ole times, and loud family gatherings with (hopefully) no drama. 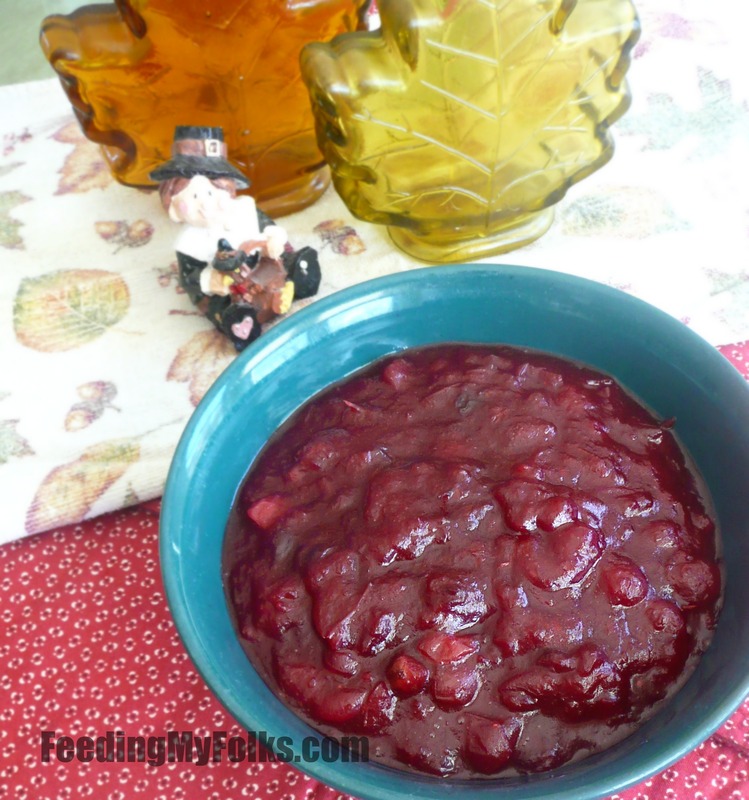 Each year, everyone insists that I make fresh cranberry sauce for the big meal…well, everyone except my brother, who would probably pout and cry if we didn’t have the jellied stuff from the can. But I digress. 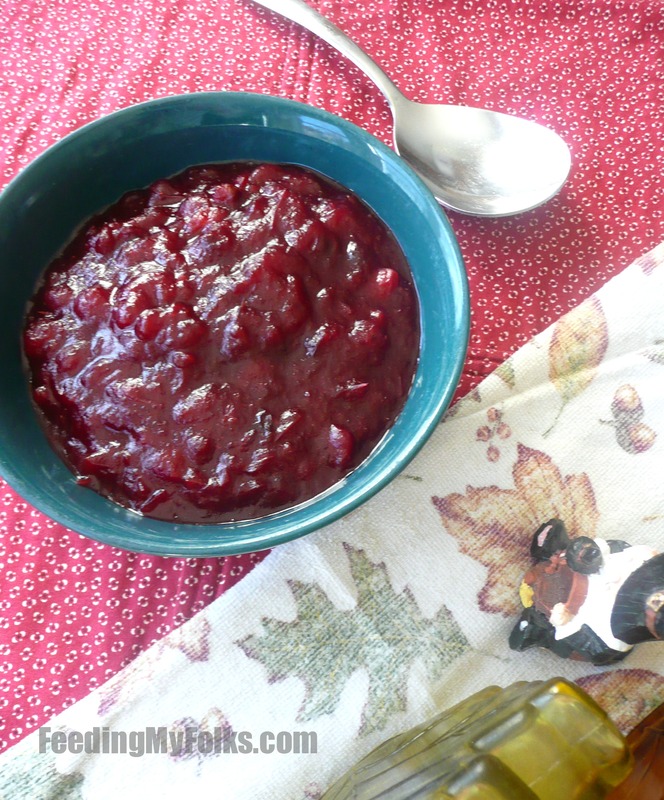 My recipe for cranberry sauce is thick, a little chunky, slightly sweet with a bit of tang, and packed with lip smackin’ good Thanksgiving flavors. 1. I simmer the berries in orange juice instead of water. The citrus brightens up the cranberry flavor while also giving it some depth. Occasionally I also add a little orange zest to really kick the flavor up a notch. 2. 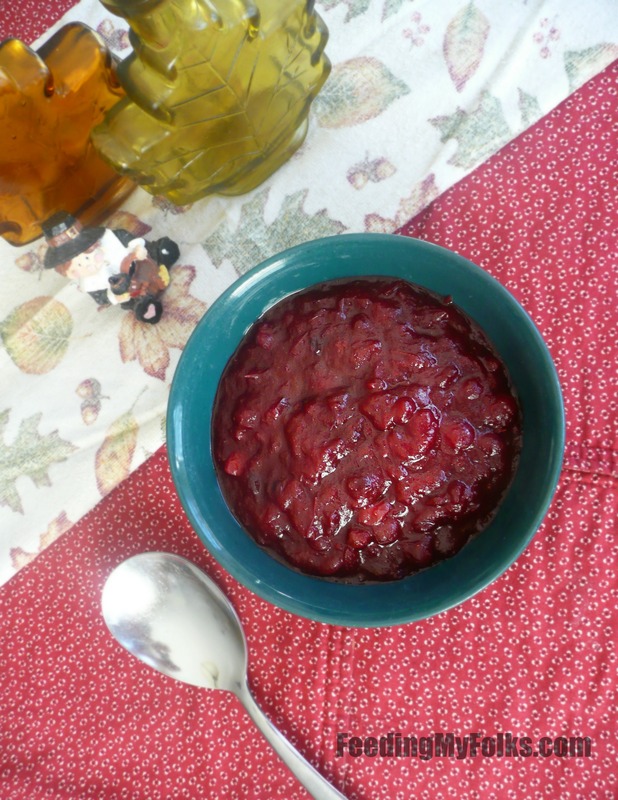 The second “secret” is that the cranberries are also simmered with a dusting of cinnamon. This spice not only smells amazing, but it gives the whole dish a warmth while also tying it into the rest of the meal. 3. Finally, the third “secret” to make my amazing cranberry sauce is to add a splash of vanilla after it’s finished cooking. You can’t pinpoint it exactly, but the vanilla gives the cranberries a deep sweetness that you can’t get from just using sugar. And that’s that! Those are my tips to making a delicious cranberry sauce that your family will beg you to make every year. It’s a simple, tasty tradition that you’ll gladly make ahead of time so you have one less thing to do on Thanksgiving Day. So get to cooking and have fun! In a saucepan over high heat, bring the sugar and orange juice to a boil. Add cranberries and bring back up to a boil. Lower heat to medium-low. Add in the cinnamon and pinch of salt (less than 1/8 teaspoon). Stir to combine. Stirring occasionally, simmer for 15-18 minutes. Turn off heat and mix in vanilla. Unfortunately, I don’t really eat traditional Thanksgiving dinners in my family. But I need to try this out sometime in the future! Maybe with a side of mashed potatoes. Also, I’ll be using Tropicana OJ. The best OJ around! What do you eat on Thanksgiving, Jen? Tropicana is great…just as long as it doesn’t have pulp!